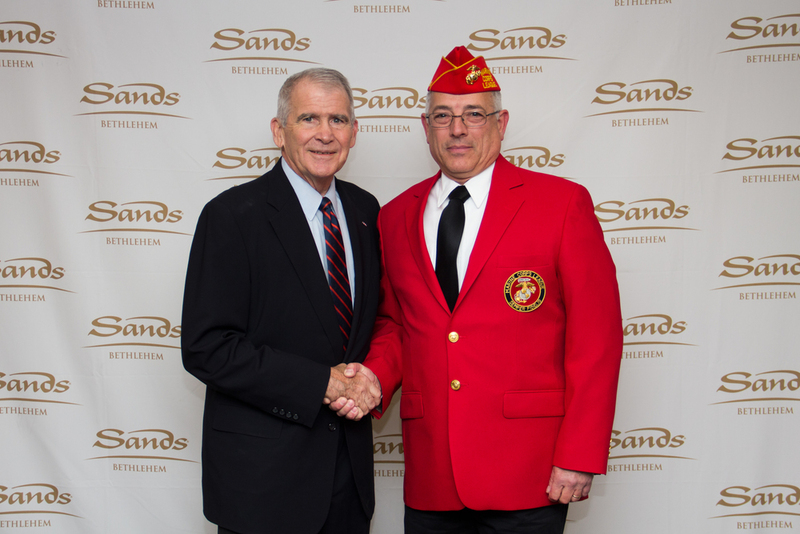 Several Detachment members were able to attend a dinner with a very special guest speaker, Lieutenant Colonel Oliver North. Lt. Col. North is a combat decorated Marine Corps veteran. Assigned to the National Security Council staff in the Reagan administration, Lt. Col. North was the United States government’s counter-terrorism coordinator from 1983-1986. He's currently the host of "War Stories" a documentary series on Fox News Channel. The dinner was fantastic and then we had the privilege to listen to the Lt. Col. speak. He talked about who true heroes are to him and how the Marine Corps Value of commitment has stuck with him and affected his life. The man truly knows how to keep an audience captivated and all in attendance left inspired.